My friends Dave and Dave over at Shadowgirls have put together an amazingly cool game title, Please, Don’t Wake Dakon! It’s a fast-paced card game set in the Innsmouth Day Care where you and your preschool playgroup aim to misbehave and commit as many Hijinks as possible and gather the most Goodies without being sent into Time Out. 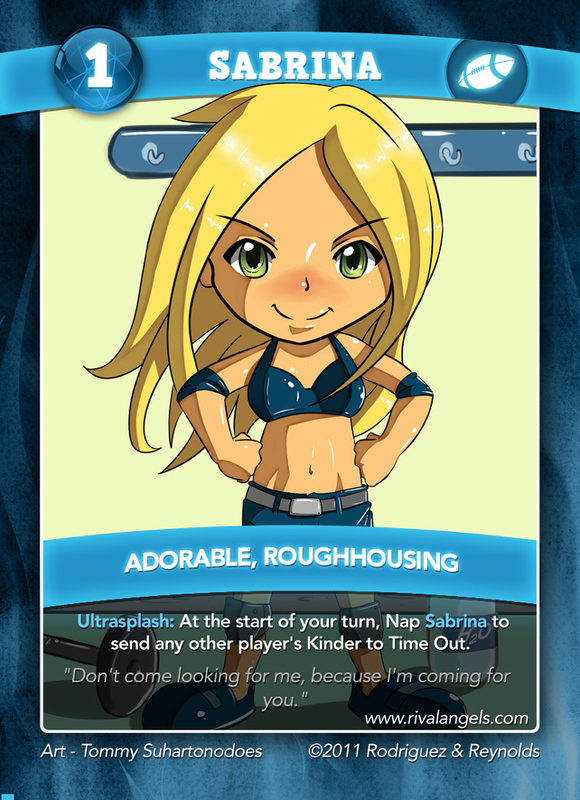 One of the super special cards is of our own little Ultragirl, Sabrina!